Do you have specific Christmas TV memories from when you were young? 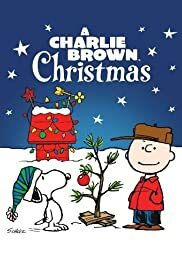 Of course that is going to differ depending on your age, though most people would mention watching A Charlie Brown Christmas or The Grinch. But since I am a bit weird (and was a weird kid) mine was the Andy Williams Christmas Special. Not only did they often featured the Osmond brothers, they were a visual fantasy of the perfect Christmas. The elaborate sets, people lounging about enjoying an eggnog who suddenly broke into orchestrated Christmas songs – what’s not to love? To a girl from small town Canada in the 70’s they seemed sophisticated. This was what my adult Christmas would look like – Including the Osmonds of course. Oddly that didn’t happen. TV was very different then, thirteen Channels, a printed TV guide or the listings in the paper, no DVR or even VCR to tape shows. Shows with the word special in the title actually were special and if you missed them at the time they were scheduled, you couldn’t go google it and watch it later. So Sunday nights were Walt Disney night, the only cartoons were on for a half an hour at lunch and were the best part of a sick day, and the time and date of the Christmas shows was a hot topic on the school yard. Christmas TV is different than watching Christmas movies on TV. Most sitcoms or TV dramas have done the Christmas themed episode over the years, some more memorable than others. There are a number of ranking lists about this subject. I remember a few that stick out. But for the life of me I can’t remember anything memorable enough to write about at the moment. It seemed to be the one time when the people on the shows were doing the same things we were at the same time. 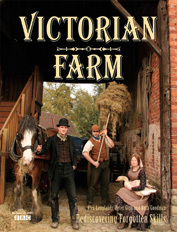 As I write this I am watching Victorian Farm Christmas. It is a 3 part special filmed the the Acton Scott Estate. The history geek in me loves to see how the season was prepared and celebrated in Victorian times. I expect it is also why I enjoy reading Washington Irving’s Christmas stories. I also love all the Christmas food and cooking specials. Nigel Slater and Jamie Oliver making roasts and sprouts. Kirstie Allsopp has made a crafty show for several years celebrating her love of all things craft and Christmas. Kirstie’s Crafty Christmas has tree decorating, present wrapping, and baking competions and an epic hand knit jumper/sweater runway show. Christmas and crafts! It is odd how in just a few days now all of this will end and we will go back to regular TV. After we watch the Queens Christmas message of course. The common theme above is that they are all British shows. I find the Brits just do Christmas better than anyone else. The seem to enjoy it, and revel in it. They raise Christmas to a whole other level. Most of my Christmas entertainment this year is not on TV at all. In fact it is the inspiration for my whole Blogmas idea and that is Vlogs on You tube. Zoella and many other You Tube Vlogers are posting every day with festive ideas or just a daily vlog of their activities and Christmas preparations. I watch them shop for a party or go and select their tree. I’m not sure what it says about wht I consider entertainment, but it is a much more real version of Christmas than the completely fake world of Andy William’s chalet in a TV studio. I wonder if we can find that Andy Williams special to watch on Youtube!